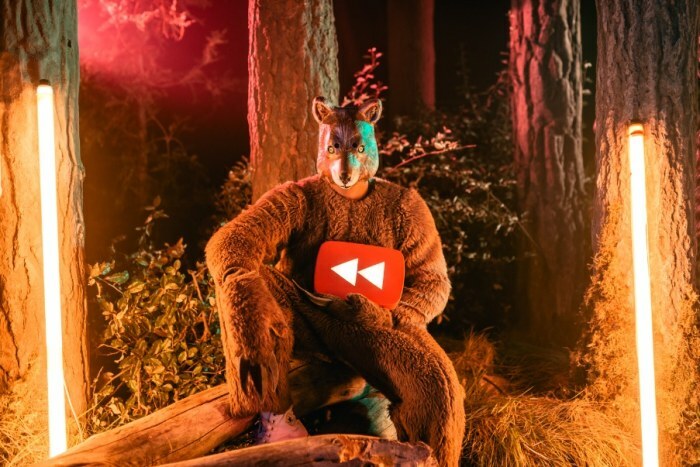 A fox from YouTube Rewind 2013, a mash-up of viral trends and moments brought to life by this year's Internet stars. As 2013 swiftly comes to a close, it’s time to start reflecting on the important things: You know, those viral videos we sent around and shared a collective laugh over when we should have been working. Miley twerked and swayed. Norwegian pop duo Ylvis asked an age-old question. A cardigan-wearing lady prancercised. And those are just a few of the viral moments captured in Portal A’s YouTube Rewind 2013, which features many of the year’s most popular Web stars — from the girl who burned her hair off in a curling iron tutorial to the guys from “conversations with my 2 year old” — in scenes inspired by the top videos of the year. Lest you’ve already forgotten, the video is a refresher course in 2013's viral hits: There are dancing foxes, screaming goats and recreations of the dance meme that momentarily captured the nation, the Harlem Shake. Jimmy Fallon makes an appearance, as does everyone's favorite faux politician, Kid President. The sounds of 2013 are present too, with songs like Robin Thicke’s “Blurred Lines,” Macklemore’s “Can’t Hold Us,” and Daft Punk's "Get Lucky" playing in the background. Production company Portal A worked with more than 60 partners (and 30-plus goats) to create the video, which required four days of shooting in Los Angeles and includes clips from around the world. The video is interactive too — just hover your cursor over it for links to extended footage.